The interaction of form and space is crucial to the sense of structure, which underlies Michael Lyons' work. Both as an artist and teacher he has always stressed the need to understand the philosophical, conceptual and historical basis of the subject. 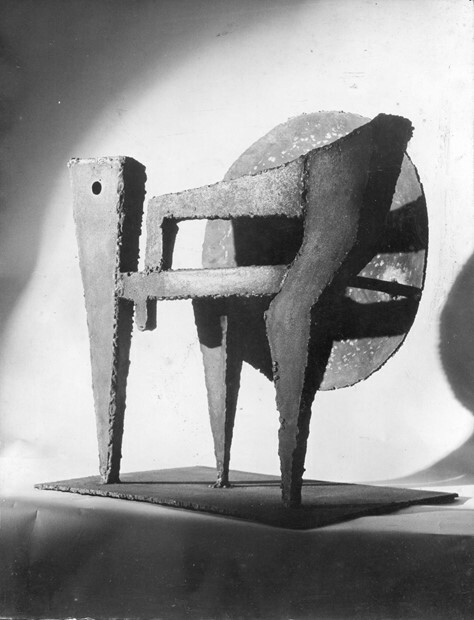 The sense of the 'mechanical', which informed his early sculpture has given way to a more organic feel in recent years. As an artist Lyons draws on many sources from primitive and oriental art to the landscape and the forces of nature. 'The Sculpture of Michael Lyons' by Dr. Judith LeGrove discusses Lyons' relationship to his peers and the developments, which have taken place within sculpture during his career. His sculptures range from the monumental to the 'miniature'. Though Lyons still works primarily in steel, he also uses a range of other media e.g. clay, wax, bronze etc; both drawing and poetry are an important part of his creative output. He has lived and worked in the village of Cawood in Yorkshire since1978, but has travelled extensively abroad; he first visited China in 1993 and Mexico in 2004, both countries having a profound effect on his life and work. In 2003 Michael Lyons won the Yuzi Prize (1st Prize) at the Guilin Yuzi Paradise International Sculpture Awards. In 2006 he won the Premio Fondo Nacional de las Artes at Chaco Biennale, Argentina. He has exhibited widely both nationally and internationally, and represented Britain in symposia and sculpture biennales around the world. In 2011 his monumental bronze 'Voice of the Mountain:Sudden Storm' was permanently sited at Shanghai Sculpture Park, as a result of a residency there two years earlier. 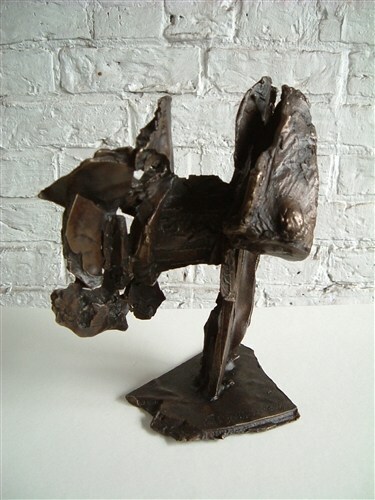 A series of Chinese inspired sculptures and drawings ('The Lady Zhen's Well') made at Vermont Artists' Studios in 2001, were acquired for the Yale Centre for British Art, Yale University, USA. 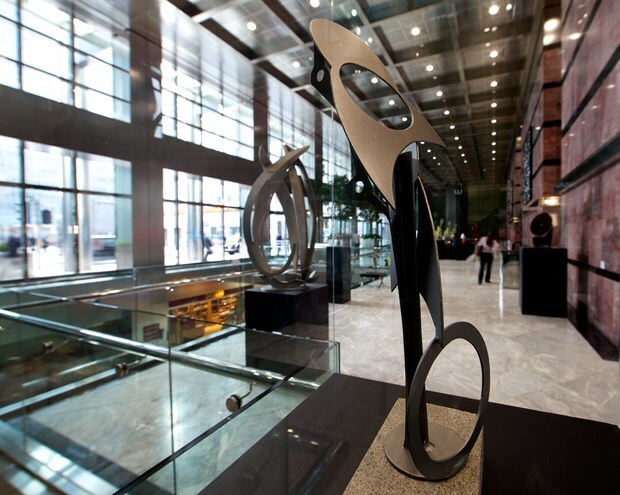 His large copper sculpture 'Unity of Opposites:Vortex' 2001 is now in the collection of the Canary Wharf Group, London. In 2015 Lyons completed a 6m high sculpture in corten steel for a private commission in Palma, Mallorca. He is presently working on a ongoing project to create a series of sculptures in a range of media, based on the stars and constellations. Michael Lyons was a founding member of Yorkshire Sculpture Park and from 1994 -7 was Vice - President of the Royal British Society of Sculptors. 2015 'Half- Light' New School House Gallery, York, 2014 'Scale Appropriate' One Canada Square and Jubilee Park, Canary Wharf, London, 2013 'Artist's Rocks: Echo and Revelation' Yorkshire Sculpture Park; 'Mithras Suite' New Scool House Gallery, York; 'Michael Lyons Lyons: Sculpture and Drawings- A Retrospective Exhibition' 108 Fine Art, Harrogate, 2009' First Light: China Morning', Salon Gallery, Royal British Society of Sculptors, London, 2003 'Under Heaven: A Chinese Odyssey', The Whitworth Art Gallery , University of Manchester, 2002 'Michael Lyons: 'Sculpture and Drawings' , Pickled Arts Centre, Beijing, China, 1998 'Michael Lyons: Sculpture and Works on Paper' (20 Year Survey Exhibition), Yorkshire Sculpture Park, Yorkshire 1996 'Forming the Wind' Atrium Gallery, Prycewaterhouse Coopers, London, 1982 'Michael Lyons: Sculpture and Drawings' Hatton Gallery, University of Newcastle-upon-Tyne, 1979 Summer Show (1) Serpentine Gallery, London 1978 'Outdoor Sculpture at the Whitworth (1)' Whitworth Art Gallery, University of Manchester. 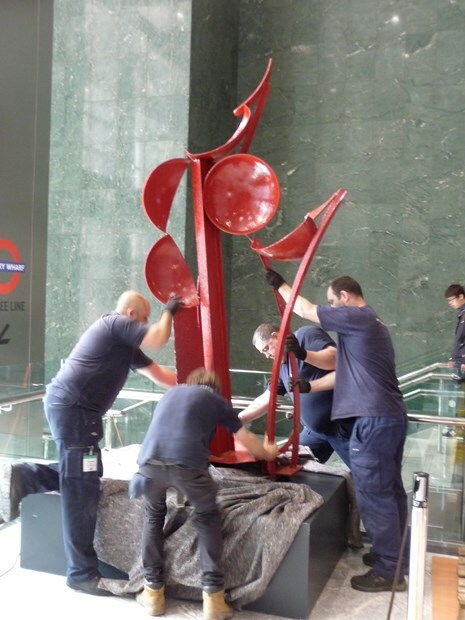 2014/15 'Narrating Objects: Unlocking the Stories of Sculpture' Leeds City Art Galleries, 2014 '2nd International Steel Sculpture Exhibition' Sebastian Foundation, Mexico City, Mexico, 2011/12 London Bridge City Sculpture Exhibition, Hays Galleria, London; 'United Enemies:The Problem of Sculpture in Britain in the 60's and 70's', Henry Moore Institute , Leeds 2010 4th Beijing Art Biennale, Millenium Galleries, Beijing, China 2010 'Sculpture Promenade', Fitzwilliam Museum, Cambridge University, 2009 - 'Strategies of Form:Steel Sculpture' , MARCO (Museum of Contemporary Art), Monterrey, Mexico, 2008 '1st Guadalajara Sculpture Biennale Exhibition' Museum of Fine Arts, University of Guadalajara, Mexico; 'Steel Sculpture', St.Jakobi Church (Art Centre), Hamburg, Germany; 'Steel Sculpture', IREPAS 58th, Rahmi M.Koc Museum, Istanbul, Turkey, 2007 'Monumental Sculpture in Stainless Steel' Paseo de la Reforma, Mexico City, Mexico; 'Open10' International Exhibition of Sculpture and Installations, Venice, Italy, 2005 'Monumental Sculpture in Stainless Steel', Palacio Legislativo, Mexico City, Mexico, 2003 'Guilin Yuzi Paradise International Sculpture Awards' Guilin Yuzi Paradise, Guilin, China, 1998 Sculptors' Models and Drawings from 'Sculpture at Goodwood' Pallant House Gallery, Chichester - tour to Kunsthalle Mannheim, Germany, and Nordbrabants Museum, S'hertogenbosch, Holland 1997 'Filosofgangen' Riimfaxe Association, Odense, Denmark,1993 'Chelsea Harbour '93' Chelsea Harbour, London, 1990 New Arts Centre, Roche Court, Salisbury, 1987 'Steel Sculpture' UK, Germany, Belgium, Holland. 'The Sculpture of Michael Lyons' by Dr. Judith LeGrove was published by Sansom and Company 2013. Michael Lyons has taught at art schools in the UK and abroad (importantly Manchester School of Art.) 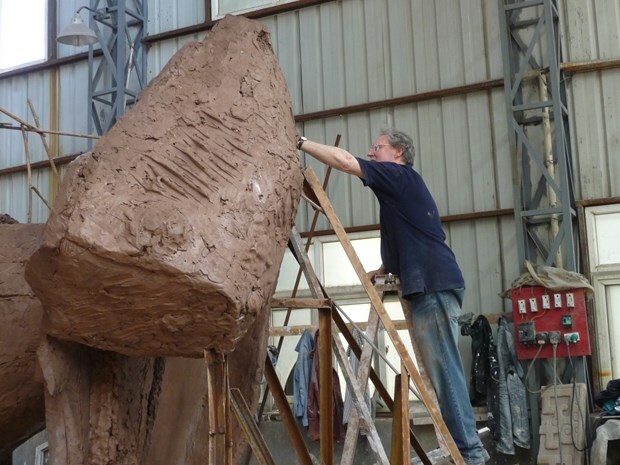 His work is in many public and private collections and he has attended sculpture symposia, and undertaken residencies, nationally and internationally. He studied at Wolverhampton College of Art, Hornsey College of Art and the University of Newcastle-upon-Tyne.